Selected users have been given access to the private area of the portal (not viewable) unless logged-in. They will have the opportunity to add content and phase 2 will be used to assess the interactive features of the portal to be launched in Phase 3. 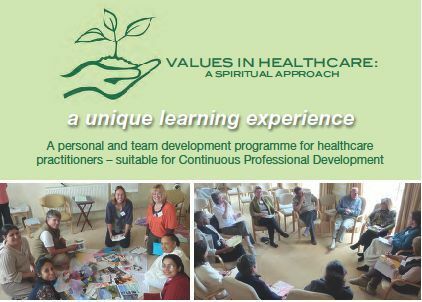 To be used at conferences and events to promote Values in Healthcare. A very limited number has been produced on a trial basis. Tell us what you think. This is the second in a series of dialogue and the retreat is organised by The Janki Foundation, Brahma Kumaris, Point of Life (USA) and Global Hospital and Research Centre, Mount Abu (Rajistan, India). 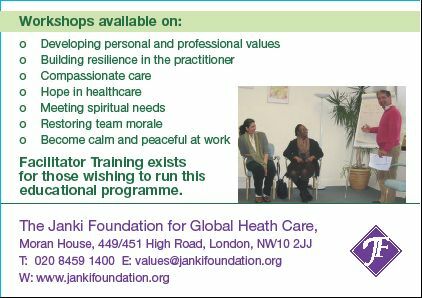 Dr Sarah Eagger is representing The Janki Foundation and Joy Rendell will also be attending.